The Audio-Visual Collective is back this January with its second annual Performing Media Festival [PMF~], with guest artist Leslie Rollins on Thursday, January 11. 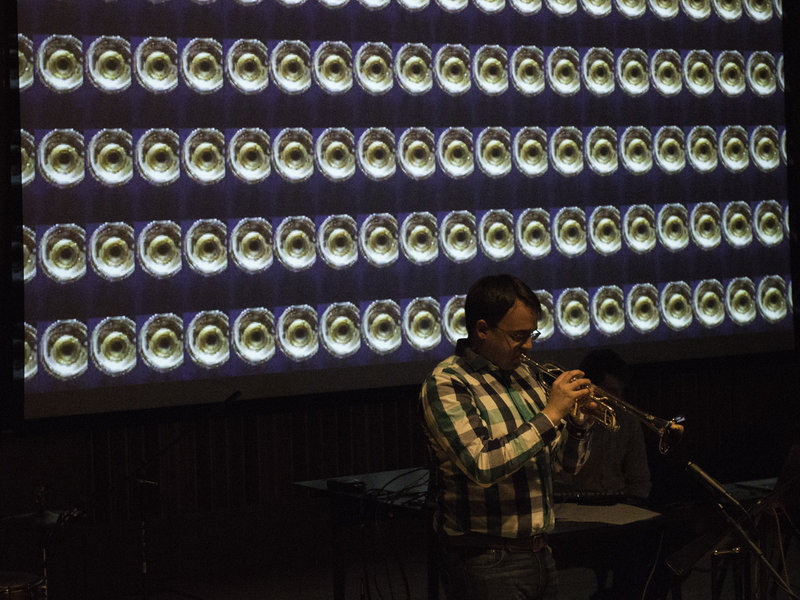 The Audio-Visual Collective is made up of students and faculty of the Departments of Integrated New Media Studies and Music, coming together to bring incredible new performances and artworks combining their talents and fields. The group is led by IU South Bend faculty members Eric Souther, associate professor of new media, and Ryan Olivier, visiting professor of music. The Performing Media Festival [PMF~] explores our world through creative pairings of music and new media and their unique perspectives and artistic freedoms. Rollins will be performing the piece Consulting the Oracles: Analog | Digital Cleromancy by creator Eric Souther. Rollins holds bachelor degrees in art and in English from Andrews University, and has been an artist in residence in multiple locations, including Signal Culture, in Owego, N.Y., where Eric Souther is an active board member. You can see, and hear, the Performing Media Festival [PMF~] in the Louise E. Addicott and Yatish J. Joshi Performance Hall at 7 pm. Tickets are $9-$12, and will be free to students and children.